Starting a business, you face various tasks from planning organizational processes to developing marketing strategy to promote your brand. However, business owners often consider the first issue to be more important than the second one, while in fact, it’s the other way around. There are many companies selling low-quality products for high prices just because they invest in their marketing. And those with great ideas but poor marketing strategy may just fail to succeed. Good news! If you’re reading this article, you know how essential it is to reach your audience and stand out in the niche. When you run an online shop, search engine results are your main ‘playing field,’ as your business results will mostly depend on your site’s rankings. Taking high positions for relevant queries is a goal many website owners try to reach, and only a few manage to achieve. To hit the top of search results, you need either to hire SEO agency or to master SEO basics. As experienced SEO specialist may cost a fortune, and not that experienced will cost you even more (have you ever tried to fix someone’s mistakes? ), familiarizing yourself with basic SEO principles will be much more efficient. For inexperienced people, keyword research may seem to be pretty ‘scary’: search volume, keyword difficulty, user intent – all these aspects aren’t familiar to everyone. Being the most important factor in helping your site rank high for the relevant keywords, it’s not the best decision to simply skip it. That’s why I’m going to allay your fears and provide you with an ultimate guide to keyword research for store owners. 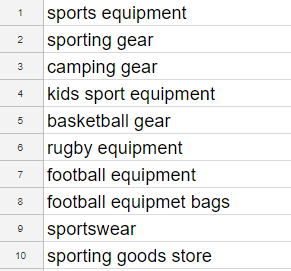 Well, you’re opening a sports equipment store, and your keyword pool will contain all the queries mentioning ‘sport equipment’, right? No. And here’s why you need proper keyword research. Using random key phrases won’t help you improve your site’s visibility. Your aim is to make search robots start to consider your pages to be relevant to users’ search queries. And collecting keywords is the first step on your way to this goal. Then you should filter them and choose those useful exactly for your purposes, and only after it you can implement them to your texts and other site elements. Let’s start with defining what collecting the right keywords actually means. It’s a process of making a list of words, phrases, and search queries describing your activity, products, service, and fully covers your site’s topic. Remember that these words should meet users’ expectations and interests. They should also be consistent with your business purposes. 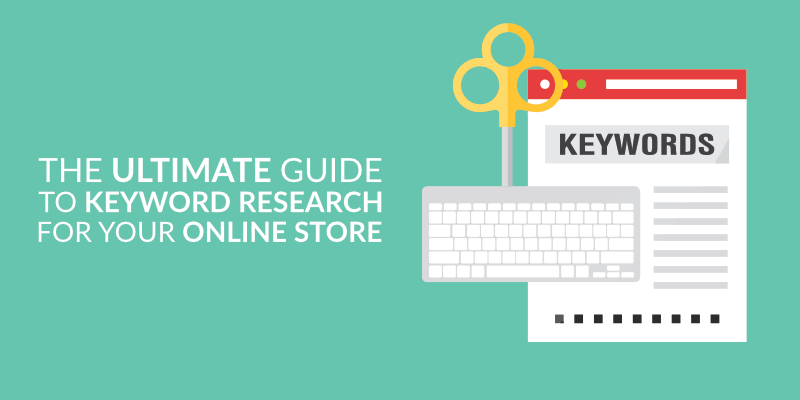 In the article, I’m going to show you how to conduct keyword research for an online store. The whole process requires five steps. Before you start using various keyword tools, think, which phrases would describe your business best of all. 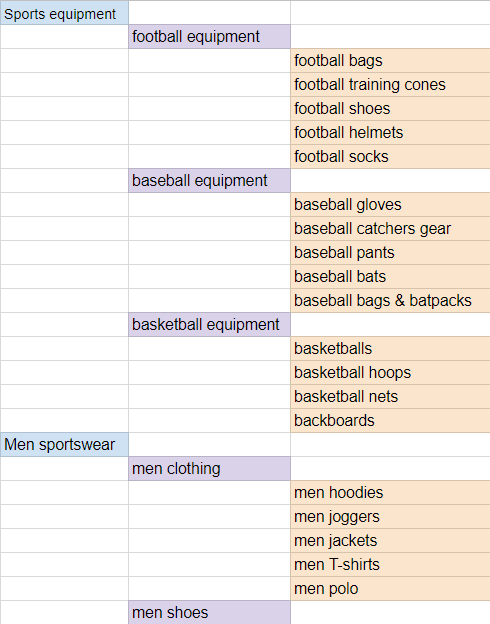 If you decided to open a sports equipment store, there would be such related words as ‘sporting gear,’ ‘kids sports equipment,’ ‘basketball gear,’ etc. So, if your topic covers lots of issues, sit down and write all the phrases you come up with when thinking of your store. Try to write down as many phrases as possible to increase your chances to rank for the wide range of search queries. Add all the queries you’ve found to your list of keywords to group them later. This step is the most important one, as it’ll help you better understand and fulfill your audience’s needs. Most e-commerce sites use only high commercial keywords with such words as ‘buy,’ ‘price,’ ‘on sale,’ etc. and don’t consider informational intent at all. ‘Why should they?’ you may ask. The case is that people often search for some information before they come to purchasing decision. So, why not help them answering their questions? As we are selling sports equipment, queries with informational intent are pretty frequent for this topic. People want to know what kind of equipment they need for tracking, what’s the best solution to make your tracking bag as light as possible, and more. To provide answers, you can either create a FAQs page or run a blog. Anyway, such a step will help you rank for informational queries, improve visibility of your website, and convert prospects into customers. Here I can circle out such queries as ‘what camping gear do I need,’ ‘how to pack camping gear for a flight,’ ‘where to buy camping gear,’ and more. If I answer these questions on my website, I’ll attract even more prospects. The next step to enlarging your keywords list is using SEO tools. I usually go with Serpstat, it’s an easy-to-use tool even for those who haven’t mastered SEO yet. Type there your main key phrase > select the country you want your site to rank for > apply filters if necessary. Supposing I’m going to create my own brand of sportswear, I excluded such branded keywords, as ‘nike,’ ‘adidas,’ ‘champion,’ etc. You can also sort the list by keyword difficulty (the level of competition for promoting your site for this keyword to top 10), search volume, cost per click, competition in PPC, and the number of results. As you’re at the first stage, keyword difficulty and search volume are the most critical factors for you. For instance, the best choice for the beginners are keywords with the level of difficulty between 10 and 50, as everything lower may fail to have any value, and everything higher is just too hard to try. If you have several categories of goods on your site, repeat such research for every category and export the words which will work for you. In case your website is already established, you can compare it with your main competitors’ sites. It may appear that you miss great opportunities while your competitors are ranking for the keywords you didn’t optimize your site for. To discover these keywords, you can either continue with Serpstat or go with Ahrefs. I’ll show you how Ahrefs copes with the task. Enter your domain into the search field and go to Organic search > Content gap. The tool will suggest you enter your main competitors’ URLs and choose whether you want to see the keywords at least one of the domains / 2 domains / all of them are ranking for. To exclude brand queries, select the second option. Look through the keywords and select those you could add to your site. Divide your keywords into categories from the most general to the specific ones and mark each group with a different color. This method is time-consuming, as you need to group all the keywords by yourself. And you don’t have to. Apart from collecting keywords, some SEO tools also have keywords grouping feature. For example, Serpstat Keyword Clustering tool groups a set of keywords based on their semantic similarity. The level of differentiation depends on parameters you set when starting your project. 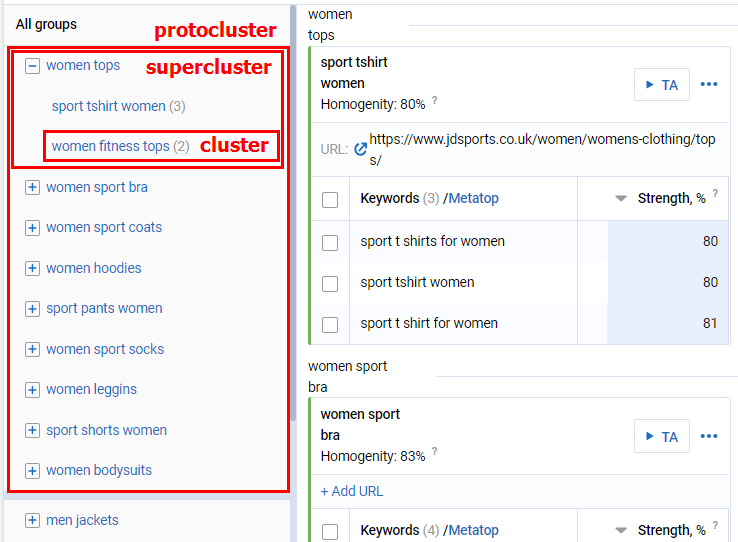 If you use Serpstat, go to the Tools section > click on Keyword Clustering and Text Analysis > Create project > configure all the settings and download your keyword list. Here are the groups of keywords you can work with to build or improve your site’s architecture. The best part is that the tool combines clusters into superclusters and protoclusters. 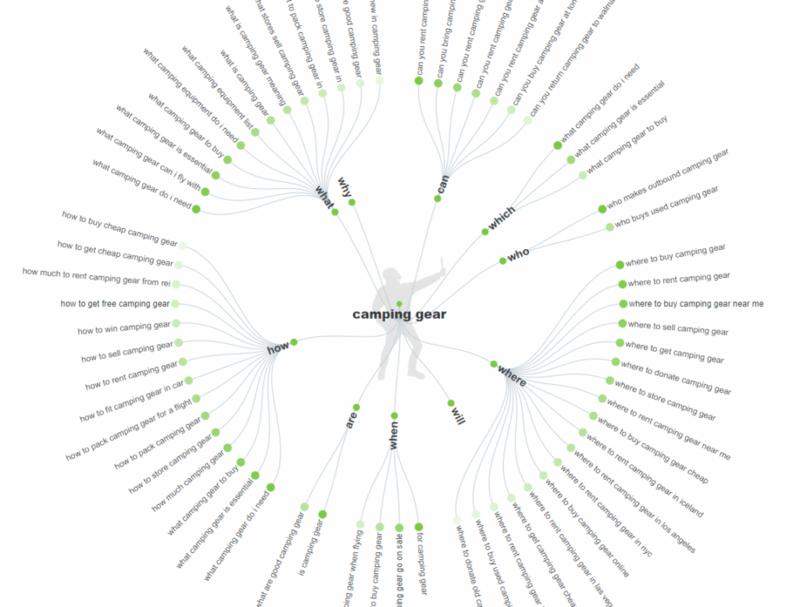 So, you can see which topics are the most related. 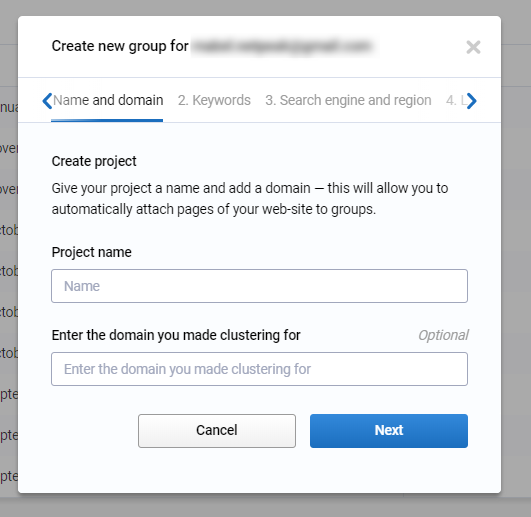 If you want to combine some clusters, move some words to other groups, or add keywords, you can do it right in the project. Brainstorm and make a list of basic keywords. Add search suggestions from Google to your list. Consider informational queries if possible. Analyze your niche using keyword research tools. Group your list of keywords to see how you can improve it and create your site’s architecture. Author Bio: Inna Yatsyna — a Brand and Community Manager at Serpstat, an all-in-one SEO platform. Inna is experienced in digital and content marketing, SEO. She’s fond of writing useful posts, helping people, reading, traveling, and animals (especially dogs).